Companies are chomping at the bit to nail their strategy for marketing to millennials. And let’s be upfront about that: it’s bloody smart. The U.S. is home to 80 million millennials, more than any other generational cohort in the country. When you consider that the youngest millennial is now 22, you understand that this generation is officially of working age. As such, millennials also make up the biggest generational segment of workers. Workers=paychecks=spending power. It’s estimated that by 2020, millennials will have $1.4 trillion in disposable income. The bottom line? Businesses can’t afford to not entice and win over this huge generation with a strong marketing strategy. Their spending power is enormous and as they continue to age will only increase. So, how exactly does one market to millennials? To get started, you’ve got to focus on something incredibly near and dear to millennials: their smartphones. It’s estimated that the average millennial spends close to three hours a day on his or her smartphone. That’s over 20 hours a week and over 1000 hours a year! That’s a whopping 46 days out of the year glued to their beloved iPhones (or, Androids). Additionally, they’ve almost completely swapped out desktop Internet browsing in favor of using their phones. We’re going to say it again, as it can’t be emphasized enough: HAVE A MOBILE-FRIENDLY SITE. If your website looks wonky when opened on a cell phone, guess what? It’s just going to be X’ed out of in less time than it took to open it. To be clear, this doesn’t mean you should ditch the desktop version, by any means. Instead, you can have two functional versions of your site at the ready. Want some additional incentive? Google has updated their algorithm to show mobile friendly sites first. Don’t have one? Get with your development team and start making one. Now. Ditch traditional swag for smartphone-friendly promo giveaways. You’ll never catch a millennial leave their house without his or her cell phone. As such, your business should be catering to that love – and proximity. Not just to the millennial, but to his and her friends, as well! Create promotional swag for cell phones that advertise your business in a way that’s useful to recipients, like with waterproof cases, cell phone wallets, selfie lights or PopSockets. Here’s where you’ll find a ton of customizable cell phone accessories to consider! 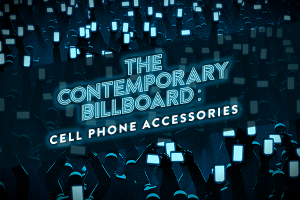 Cell phones are the modern-day billboard, so take advantage! Create an app that’s fun, attractive and engaging. Millennials love a good app. In fact, nearly half use about 20 apps daily. They’re open to downloading and buying an app that appeals to them (that’s right—it doesn’t necessarily have to be free!). Just make sure yours has an attractive logo. A 2017 comScore study found that the millennials often deleted an app simply because they did not like the way the logo appeared on their screen. Align your brand with their interests and values. Interested in reaching more millennials? There’s never been a better time to collaborate – whether with a beloved business, organization, celebrity/media influencer or even viral campaign. When millennials back a brand or product, they do so fiercely. What better way to promote your company’s morals or paint its personality than to draw rank with another powerful brand? Whether it’s promoting the latest Marvel movie to reach comic book fans or hosting a webinar with one of the industry’s most popular bloggers, millennials love a strong collaborative campaign. Design an unmissable social media channel. Every business has a Facebook, Instagram or Twitter account – after all, social media has become a presence in the daily lives of millennials (and truthfully, pretty much every actively-online generation). If you aren’t active on the top channels, you’re missing out. More than that, if you aren’t innovating and creating content that’s insanely interesting and shareable, you’re wasting resources. If you’re selling goods online, make sure to loop in Amazon. Amazon was ranked as the #1 millennial “Can’t Live Without” app. If your product is listed, pay attention to as many details as you can—product descriptions, pictures, and answering potential-buyer questions. Few know how to wield Google quite like a millennial. As such, it’s harder to keep dirty little secrets hidden. Embrace it. Received some unfavorable press? How about negative reviews online or unsavory comments on social media? Address it openly, honestly, and positively. Let them know your plan for remediation and what your company has learned from their feedback. After all, everyone loves an underdog. Construct a story for your brand. Put faces to your company’s staff and leadership in friendly, real-world details. This can include sweet but simple videos, snaps or photos. Does everyone need to know that your COO is an apple baking pie extraordinaire? Probably not. But it makes him or her relatable and, frankly, more likable. Inspire millennials by communicating your company’s values. Does your business practice sustainability? Support a local Boys and Girls club? Volunteer a few times a year at food banks? Capitalize on these accomplishments and don’t be afraid to raise the bar. Invite your market to participate in their own meaningful way through a campaign hosted by your company. With social media, the world can feel a lot smaller these days, allowing you to connect in ways that geography doesn’t necessarily inhibit. Millennials are smart, conscious, and hungry for the good stuff in a sea of unending websites, Google search results, and bad YouTube videos. When crafting your strategy to reach this age group, embrace the authenticity your brand can offer. Kind of like when you were little, and your mom promised you the best way to make friends was simply be yourself. Just make sure ‘yourself’ is tech-savvy, social-media friendly, and transparent. No big deal, right?